Our healthcare system must constantly meet the need of filling personnel vacancies with qualified individuals — for ensure patient welfare, and for efficiency’s sake. Demand for travel nurses as a strategic part of an organization’s chart is as critical as ever. So what can a traveler nurse do to ensure that next opportunity is within reach? Karen Flaster, chief operating officer of HRN Services, and Melanie Douglas Major, recruitment manager for NursesRX have some thoughts. Both explain the need to be adaptable to an employers needs is important, especially if you can demonstrate that you can fit into more than a single situation when it comes to assignments. “Be open to possibilities and different experiences,” says Douglas Major. That applies to a lot, including being agreeable to shift work, open to floating, and being flexible when faced with unexpected work requests. Not soft , but not rigid. Flaster stresses that the ability to be flexible allows a traveler to glean the upside of a given situation. That’s important when weighing assignments also. Flaster chooses Healthcare Traveler’s base of Cleveland as an example. When on site always have your credentials current and together in a folder. This allows hospital providers to quickly respond to calls for assignments that have a quick turnaround. To help guide you to the next job, Douglas Major recommends finding a recruiter who is aware and supportive of your travel nursing goals. However, you have to do your due diligence in finding the right recruiter. Finally, the knack for putting the needs of the organization before your own may not satisfy your personal goals at the time, but can open the door to more career opportunities down the road. Doing it with a good attitude is all the more important, says Flaster. Apply to the top 20 travel nursing agencies. Many positions available. All Specialties. Bad weather can hit any time and travelers should prepare for the unexpected. Have you been caught in turbulent weather: Possible tornadoes like the tragedy that happened in Moore Oklahoma; April blizzards in the Dakotas. So far it’s been anything but “spring-like.” To top it all off, experts are saying the upcoming hurricane season could be worse than last year. One scientist even said watch out for Super Storm Sandy 2.0! As healthcare travelers, you very well could find yourself assigned to any of the states that repeatedly get battered by hurricanes. Or you could be on contract in one of the 45 states and U.S. territories labeled as “moderate to very high risk” of earthquakes. Remember the 5.8 quake that struck Washington, D.C. back in 2011? 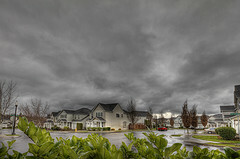 So what if you happen to be assigned to an area that falls victim to Mother Nature’s whim; would you know how to react? Do you have the emergency supplies readied? The following are a few essentials to keep on hand and advice on how to stay safe as recommended by the Federal Emergency Management Agency’s (FEMA) Ready Campaign (ready.gov). • Extra prescription meds and eyeglasses along with first-aid supplies. • Water, nonperishable food, and pet food for three days. Remember dietary requirements for both you and your animals. Tip: Avoid salty foods. • Keep copies of pertinent documents—insurance policies, identification, medication list, allergy list, and bank accounts—in a waterproof container. • Paper towels, plates, and plastic cups and utensils. Oh yeah, and a manual can opener so you can get to the food. • Change of clothes, including cold/hot weather attire. Also, stash an extra blanket. • Battery powered or hand-crank radio and cell phone charger. Don’t forget extra batteries. • Refresh the kit every few months. Tip: When it’s time to change the clocks, it’s time to change supplies. • Keep a pair of durable shoes and a flashlight near your bed. • Stay inside and find cover from falling objects. • Ask the hospital where you are assigned about its earthquake response plan. • If the shaking starts while you’re driving, park in a clear area. Avoid bridges, overpasses, ramps, and of course, power lines. • Don’t expect to be one and done. Aftershocks can follow for days, even weeks, after the initial rattler. Make no mistake, aftershocks are still earthquakes and should be treated as such. • Tune into a NOAA Weather Radio (noaawatch.gov) for real-time updates from the National Weather Service. • Bring in outdoor plants or furniture that could be tossed around by winds. • Turn the refrigerator and freezer to their coldest settings. In the case of power outages, your food will stay colder longer. • Fill up your gas tank. • Find a safe location, like a basement, storm cellar, interior room, or hallway. • If in a car, keep your seatbelt on, duck below the windows, and cover your head. Predicting Mother Nature’s next move is a fool’s game, but it never hurts to be prepared wherever you are assigned. 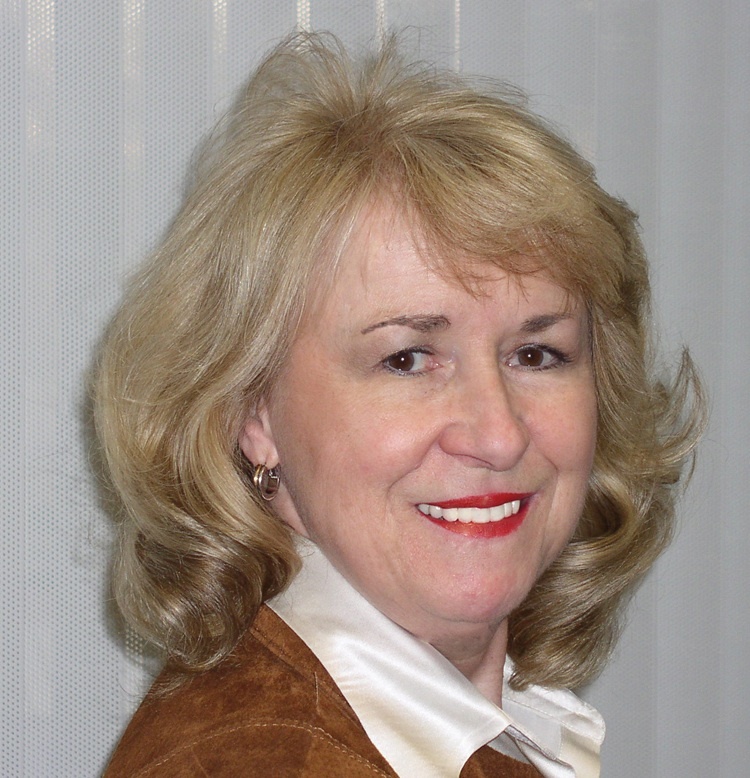 Anne Baye Ericksen is a freelance writer who has contributed to Healthcare Traveler since 1996. She resides with her family in Simi Valley, Calif.
Now that we’re officially into a new year, it’s a great time to look ahead to see what’s in store. Do you already have big plans for some special occasion this spring or summer? Maybe 2013 is the year you accept an assignment in a dream location. Of course, there is also a whole slew of celebrations coming up like Valentine’s Day and St. Patrick’s Day. Wouldn’t it be fun to land a March contract near Chicago or Boston so you can partake in either city’s legendary St. Patty’s Day festivities? Then again, there are so many obscure, little-known “holidays” that you can find a reason to celebrate wherever you’re assigned, like the following — be sure to pencil them in on your calendars. If you are near a major metropolitan center, there’s bound to be some kind of event marking the beginning of the year of the snake. But not for Arizona or Hawaii. Recycle. Ride your bike to work. Don’t forget to turn off the lights. This holiday honors the end of slavery in America. Visit a Civil War memorial anywhere from Pennsylvania to Texas. Give mom and dad a shout out. Sign up for a flying lesson at a local airport. On contract close to a reservation in the Midwest, Southeast, or Southwest? Check out traditional American Indian ceremonies open to the public. Reportedly, this Viking arrived in New York harbor well before Christopher Columbus made his North American debut. No falling back an hour in Arizona or Hawaii. Make room for new Christmas gifts by passing along those from years past. Anne Baye Ericksen is a freelance writer who has contributed to Healthcare Traveler since 1996. She resides in Simi Valley, Calif. When picking a new travel assignment, you can compare the “cool” factor of cities across the country. Forbes ranked 65 American cities based on how cool a place they are to live. Cities with abundant entertainment and recreational opportunities, large number of restaurants and pubs (excluding chains), young diverse population, significant migration into the city, and low unemployment rate were the factors used to compile the list. 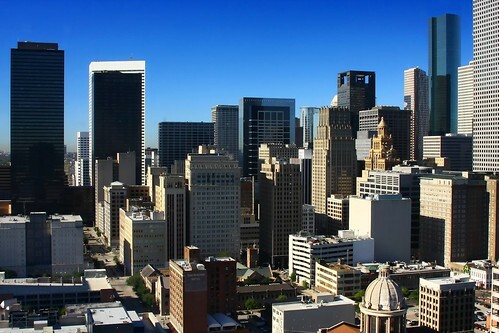 Houston’s strong economy has spurred its enviable growth. Residents and visitors enjoy world-class arts, pro sports teams, award-winning cuisine and loads of shopping in the nation’s fourth largest city. •Buy a $2 METRORail ticket and go explore Houston’s Museum District. With 19 museums and a 50-acre zoo, the intellectually curious will find a range of satisfying topics from the Holocaust to postmodern art. •Bike or hike on trails inside the 10.4 acre downtown Sesquicentennial Park or kayak through Buffalo Bayou during a four hour urban excursion. •Play at the number #1 ranked children’s museum in the country or take the kids to the Health Museum—it’s part of the world renowned Texas Medical Center. •Shopaholics can spend days in the Galleria with more than 375 stores. Take a break at the indoor ice skating rink. •Spend an evening at the 17-block Theater District. Reserve a seat at the Alley Theater, the Houston Grand Opera, or Houston Symphony. •Sports fans can back their favorite pro team. H-town has its own football, baseball, basketball, soccer, and hockey teams. I love this time of year, when every weekend, stadium parking lots come alive with a sea of tailgaters. For example, Kansas City Chiefs’ fans are known to get the party started a few days early. Each football town has its own way to boost team spirit. As healthcare travelers, you have the opportunity to witness first-hand how different fans in different cities honor their teams’ tailgating traditions. Regardless of where you attend the party while on assignment, there is a certain etiquette expected of all tailgaters. Here are a few of the basics for beginners. • Fanfare: Unless you’re a diehard fan for your own team, invest in some local spirit gear, such as a cap or T-shirt, so you fit in with the crowd. • Car show: Once on the scene, stroll the grounds to see how vehicles have been decked out and customized to display their owners’ over-the-top team loyalty. Most people will be happy to explain how they converted an old school bus into a football lounge on wheels. • Personal chef: One of the best parts of tailgating is tasting regional favorites prepared on portable grills or creatively constructed cook tops. If you’re in Boston on assignment, you’ll find kettles of New England clam chowder at Gillette Stadium. Every grill at Lambeau Field in Green Bay, Wisc., will be loaded with brats. Even if you’re not hosting the football fiesta, offer to contribute to the menu, maybe a side dish or dessert. Extra ice and drinks are always appreciated, too. • Dress code: Better to be over-prepared than get caught in the rain or snow. Bring an umbrella, or gloves, scarf, and hat if you are on contract in a northern town. Here’s a thought: battery operated portable heater. • Keep cool: Sure, the majority of people will be cheering for the local pigskin players, but there could be visiting fans, too. Good-natured teasing might be okay, but keep the “game talk” G-rated so everyone has a good time. • Clean-up service: No matter if you’re attending the big game or watching the gridiron showdown on TVs set up in the parking lot (yes, that happens), don’t leave a mess behind. Bring along extra trash bags to pick up after your neighbors if necessary. Whatever the final score, everyone wins when tailgating is done right. For years, my family has spent summer vacations soaking up the sun on different Gulf Coast beaches. It is one of my favorite ways to relax. In July, we drove to Florida’s Navarre Beach. Situated between Pensacola and Destin, its welcome sign reads, “Florida’s Best Kept Secret.” I have to agree. If you are on assignment in northwest Florida or just looking for a place to rejuvenate, Navarre Beach is a narrow strip of heaven on earth. Playing in the sugar white sand and clear, emerald green waters is the number one reason to visit Navarre. Beach umbrellas and lounge chairs can be rented for $25 per day. Walk or fish on the new Navarre Beach Fishing Pier, the longest of any piers in the Gulf of Mexico and a short stroll from our condo. Visitors pay $1 each to walk the 1,545-foot pier and $7 to fish. On weekends, live music plays at the adjacent Pier Restaurant. Bike along the National Seashore–an eight-mile stretch of undeveloped shoreline protected by the federal government. Only ten coastal areas in the U.S. have received this recognition. Take a camera to snap photos of nesting sea turtles or the towering dunes. Hang out at Juana’s Pagodas (look for the thatched roofs) beside the Navarre Bridge. The complex includes a restaurant, bakery, and pub. You may also rent jet skis, a sailboat, boogie board, stand-up paddleboard, bike, and/or a surfboard. If you are within driving distance but too far for a day trip, you may opt to stay overnight. My family and I stayed at the new high-rise condominium, Beach Colony West. Our 1,700-square-foot unit had three bedrooms and three bathrooms. A large picture window and sliding glass door in the living room provided views of the water. The best spot to enjoy morning coffee was the outdoor, circular porch with a table for four. This complex boasts the largest swimming pool in Navarre. Condos are an affordable option for multiple families or couples who want to share the cost. Contact Gulf Blue Vacations (gulftbluevacations.com for information. Rates vary by season. (The condo, for example, rents for $2,420 per week in July.) After September 15, the weekly rate is half that amount. Taxes and cleaning fees are additional. 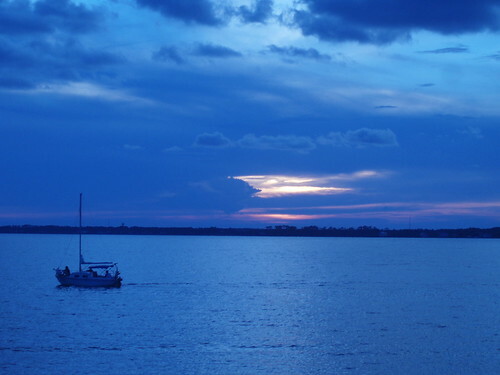 Visit floridabeachestorivers.com for tips on planning a laidback beach getaway.